As you can probably tell by now, I’m a makeup junkie. Enabled by my daughter, who edits a cosmetics magazine, I get plenty of freebies, both skin care and makeup. Today I’m going to talk about a few of my favourite Skin Care products. It’s important for aging skin (tending to be dry) like mine to be sufficiently hydrated. 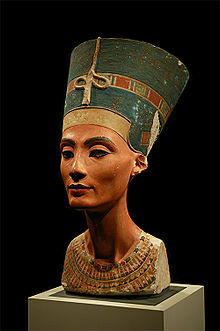 Maintaining a radiant complexion and incorporating a good anti-wrinkle cream are also important factors. My first step is to cleanse my face. Estee Lauder’s Soft Clean Tender Crème Cleanser for Dry Skin and companion Toner are so gentle on my skin and really do the job. 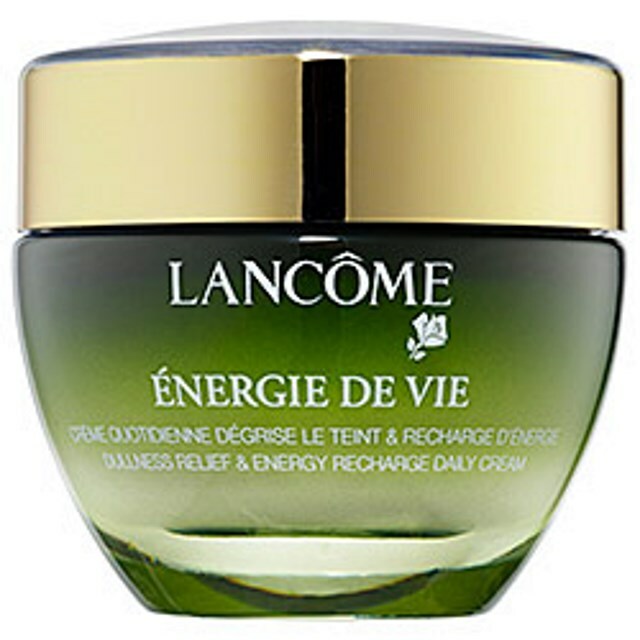 Next step is Lancôme’s Energie de Vie Daily Cream. It promises “dullness relief” and an “energy recharge”. With its fresh “green” scent, I adore using it in the morning for a refreshed feeling on my skin. I sometimes use an anti-wrinkle product, such as Vichy’s LiftActiv UV Moisturizing Cream. UV and SPF protection is so important , which is why I make sure an SPF factor is in my foundation (my personal favourite is Lancôme’s Renergie Lift Makeup). There’s nothing so refreshing during a hot summer day as using a Toner right from the fridge on your skin. 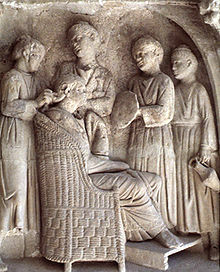 Ah, cool relief! 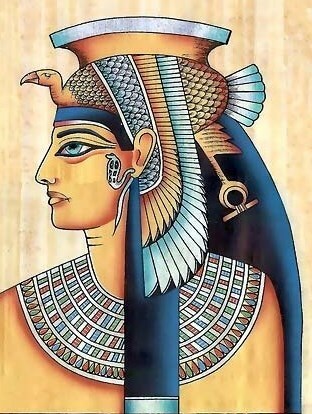 Even is you have to reapply your makeup, it’s worth it. My favourite evening anti-wrinkle product right now is Neutrogena’s Ageless Intensives® Anti-Wrinkle Deep Wrinkle Night Moisturizer. 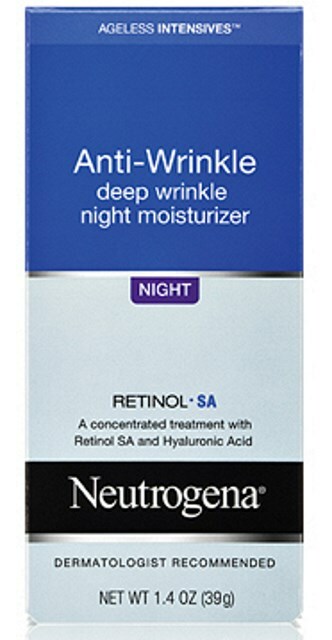 It has a combination of Retinol SA and Hyaluronic Acid, two strong anti-wrinkle fighters. 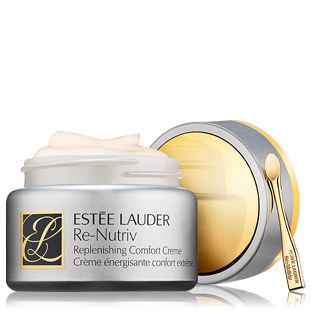 Next up is Estee Lauder again: I just love their Renutriv line because my skin is fairly dry. My daughter gifted me with the Renutriv Replenishing Crème. Love it, love it, love! It feels so luxurious on the skin, and has an Omega 3 Phyto Complex containing lipids to keep the skin hydrated and supple. This line is expensive, but to me, it is worth every penny to nurture my skin. And, yes, I do use eye cream: my new fave is Lancôme’s Ultimate Rejuvenating Eye Contour Collection, which includes Ultimate Rejuvenating Eye Balm Elixir and Ultimate Eye Patch, again from my lovely daughter. Well, there you have it. Just a reminder: this is my personal skincare routine. I do not endorse these products for anyone. If you’re like me, with an absolute mania about cosmetics, you’ll likely have little palettes of eye shadow, blush, and foundation scattered all over the place. 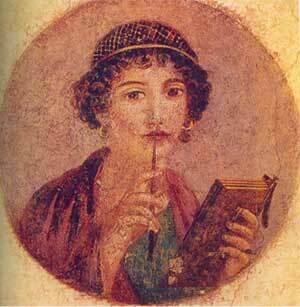 That used to be me, until I read a Post from my fellow blogger, All in the Blush. 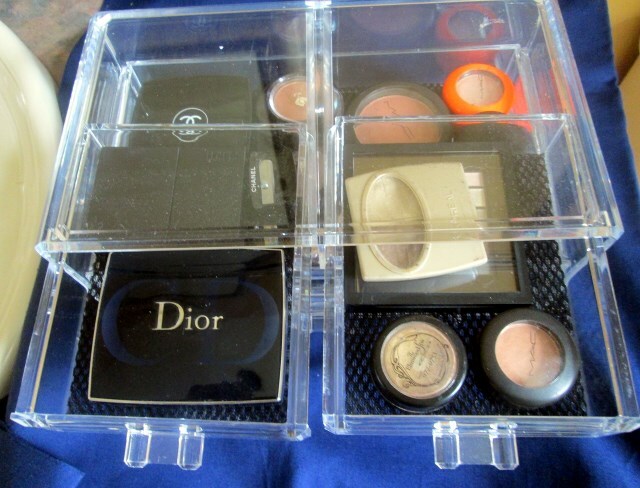 She suggested organizing one’s makeup in acrylic storage cases. Well, I was sold! There are all kinds of sizes and prices – some to about the $300.00 range as used by Kim Kardashian in “Keeping Up with the Kardashians”. Now, I’m no millionaire, so I wanted something that looked nice at an affordable price. I found what I wanted on eBay, and you can too. Here’s the one I bought. It’s a simple 4 drawer case, with two smaller drawers at the top, The second and third drawers run the width of the case. 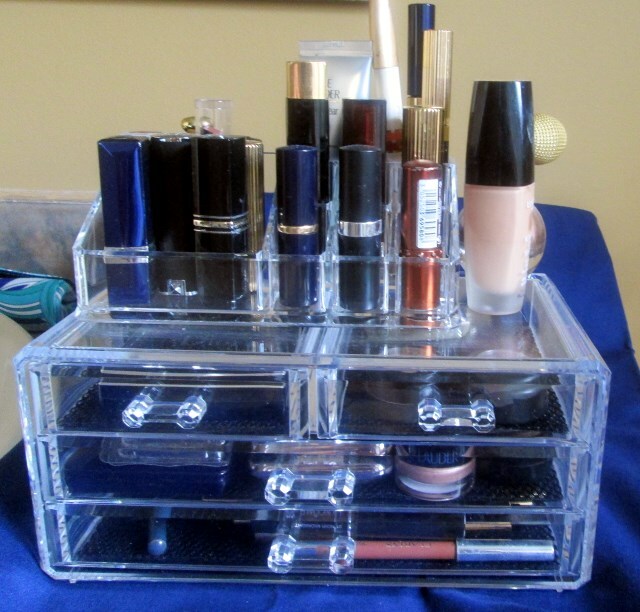 Now, on to organizing my makeup. I’m going to go drawer by drawer here, so you have a visual of what I did. First up – the top two drawers. As you can see they were both used for eyeshadow palettes. I sure do have a lot of eye shadow! 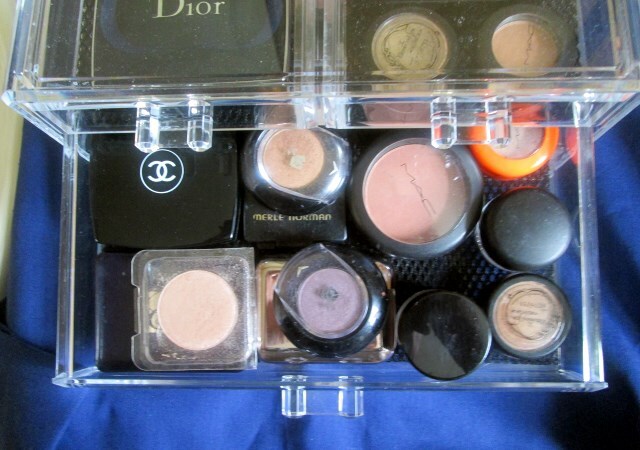 In the second long drawer, I put…OMG…more eyeshadow. Yikes! 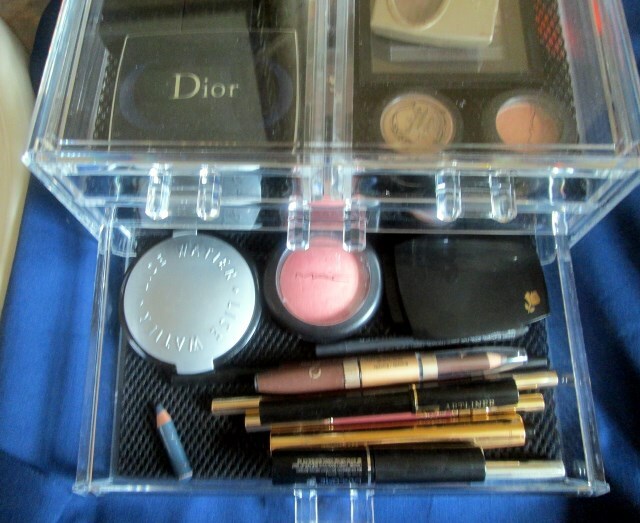 Finally, in the last drawer, went my blushes, and eye liner and eyebrow pencils. But what about lipsticks and foundation, you ask? Well, I had a solution for that as well. 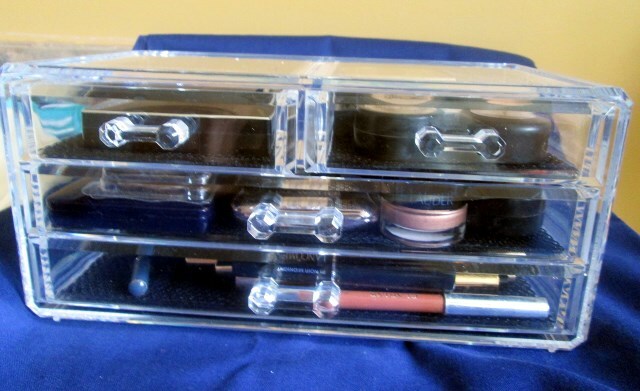 I used an acrylic lipstick container that I already had, filled it with my lipsticks, and placed it top of the Makeup Case that I had just filled. There was also room for some stand-up items, such as mascara. Placing it on the left-hand side of the case, I found I still had some room, so on top went my foundation. Et voila! Here’s the filled case.